Ivory Anderson flew back into town from San Diego to be honored by his hometown school district for his accomplishments since graduating from Rossford High School in 1983. During a ceremony at Rossford Junior High School at Indian Hills Friday he discussed how Rossford is so tight-knit many people don’t understand his feelings for his hometown. “People can’t believe I have friends that I made in kindergarten,” Ivory said in his Award of Distinction speech. Superintendent Dan Creps, who ran a school-record relay with Mr. Anderson at RHS, introduced him and gave him his Award of Distinction plaque. After high school, Mr. Anderson joined the United States Army Reserves and served as a Combat Engineer from May to November 1984. He enlisted in the United States Marine Corp in December 1984 to July 1992 and achieved Company Honor Graduate Charlie Company (top graduate of 600 U.S. Marine Recruits). He held various positions such as Intelligence Co. 1st Surveillance, Reconnaissance, and Intelligence Group (SRIG) 1st Interrogator Translator Team. Mr. Anderson served in the Gulf War and received an Honorable Discharge from the United States Marine Corps. Mr. Anderson said while he was sitting in a Bowling Green State University class hearing about previous wars, he decided he wanted to make history instead of reading it. So he joined the military. He received a Master of Science in Legal Studies at the University of San Diego School of Law-Environmental and Energy Law; a Master of Business Administration at the University of Phoenix, and a Bachelor of Arts in International Relations at California State University, Chico. Mr. Anderson possesses 33 years of professional experience in management, in addition to 19 years of experience and expertise as a Regulatory Compliance Officer. He is also published in the Small Business Exchange (SBE). He has served as a Veteran Service Representative providing comprehensive benefits and services to America’s veterans and their families. As an Industrial Relations Representative, he enforced employment law including labor code regulations governing wages, hours, working conditions set forth in industry, and occupation wage orders recommended by the California Industrial Welfare Commission. He imposed State of California Prevailing Wage law by monitoring public works projects as a Senior Labor Compliance Officer. Ivory is the sole proprietor of The Elite Guardian Consulting Services, a labor relations firm based in San Diego, California. His organization provides regulatory compliance services as a sub consultant within the contracted areas of Project Labor Agreements, Labor Compliance Program, as well as Dispute Resolution services. 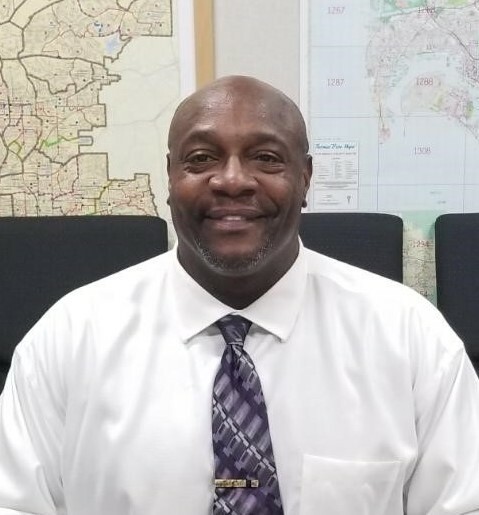 He serves as an administrator for the San Diego Unified School District as part of their Project Stabilization Agreement Coordination Team, which is responsible for assisting with the administration and implementation of the district’s $7 billion project labor agreement as well as labor relations with all stakeholders. He also assists the Sweetwater Union High School District with its $3 million project labor agreement in the same capacity. In addition, Ivory is a Labor Compliance Consultant for the Boudreau Pipeline Corporation, which provides pipeline construction services to builders, municipalities, utilities, and contractors in Southern California. Ivory has dedicated his time to be an advocate for those who either cannot or will not advocate for themselves. He has three children, Ivory III, Malika, and Mason and resides in San Diego, California. “I encourage people to find first-hand experience,” Mr. Anderson said. He was also honored at halftime of the homecoming football game Friday at Jackson-Ferguson Stadium.